Memories of riding my bike growing up takes up a huge chunk of space in the Childhood memories section of my brain. I remember my very first bike with the banana seat and rainbows and training wheels; my dad pushing me alongside and letting me go until I toppled over onto the curb; the exhilarating moments when I would let go of the handlebars and just fly down the hill where my best friend lived; riding the 5 or so miles halfway around Lake Monona to my grandparents house and stopping for root beer floats, and the grueling last 5 miles after devouring the entire root beer float plus homemade cookies; riding every day in the summer to our public pool; going to the ice cream “Bait shop”, the tiny beaches in my neighborhood, the local Deli “Kens Meat Market” for 50 cent malts that came with a small wooden spoon hidden in the lid. It was how I got everywhere I wanted to go, and I did. My bike wasn’t fancy nor did I have the gadgets some of my friends got like an old fashioned bell, a basket, a flag, spoke beads that clicked with each wheel rotation, reflecting lights. I found all those rather annoying then anyways. I liked my simple purple Huffy mountain bike when I was a teen; I was happy with it and all the places it took me. Life was fairly uncomplicated and I found growing up to be a series of surmountable events. 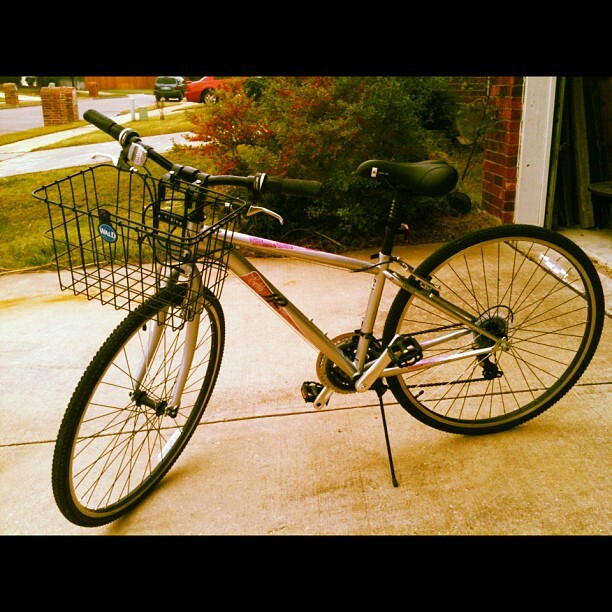 I grew out of my Huffy and since age 16 when I got my first car I haven’t gone back. Then I went to Pacific Beach in San Diego. I fell back in love with bikes. My husband and I barely even made it to San Diego, the trip we had planned on for about a year ago when our friends sent their Save-the-Date. We just got married ourselves ( Big *smile* 6.30.12 )and hadn’t planned our honeymoon because, well, we were out of money and I was out of a job. Longer story short, I happened to find a Groupon the week before our friends wedding and very cheap plane tickets (I mean who ever heard of $118 tickets??) So we decided we would make this trip work after all. Plus, it was my sister’s birthday and she and her boyfriend were flying to San Diego the same week and since we live 1000 miles apart this was a rare opportunity to spend quality time together. Fast forward to the beach, I mean, those beach cruisers on the boardwalk!! and those beach bodies..I’ve never seen so many healthy/in shape people in one place; certainly not in Dallas where we have like the third highest percentage of obese people or something crazy like that (see post on Weekend Gluttony). It made me want a bike so bad! My mind was made up. Instead of shopping for a new fall wardrobe (I’m home all day anyways!) I bought my hubby and I both bikes and I am so happy! Not only is riding my bike going to be part of my fitness regimen but it is something we can do together which is very important to us both. I’ve already ordered a bike basket so that I can ride to the grocery and pick up dinner items or treat myself with starbucks, a 3 mile ride away and part of my happiness plan to have less impact on the environment, more sense of community and to exercise more-perfect!